The Philosophy Of Robert F. Williams Provided The Intellectual Foundation For America’s Most Militant Advocates Of Racial And Social Justice. From His Actions, Speeches, And Writings Emerged The Foundation For The Black Power Movement. 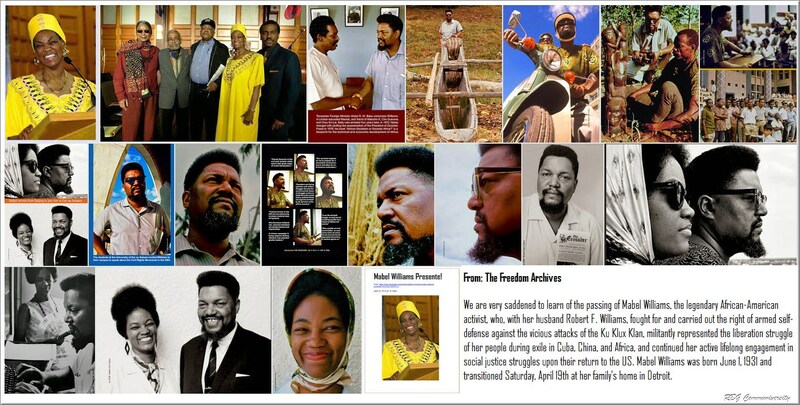 Studying With Robert F. Williams Is Essential For All RBG Learners Who Intends To Draw Lessons From The 1960’s Liberation Struggle. His Works Will Inform You On The Civil Rights And Black Power Movements, And American Radicalism, And On One Of The Most Extraordinary Political Careers In American History. If One Could Ask The Leaders Commonly Associated With The Black Power And Black Nationalist Movements Of The 1960s-malcolm X, Kwame Torue (stokely Carmichael), Jamial Al-amin (rap Brown), Amiri Baraka (leroi Jones), And Black Panthers Huey Newton, Bobby Seale And Eldridge Cleaver–what Individual Had The Greatest Influence On Their Political Development, Surely One Of The First To Be Named Would Be Robert Franklin Williams. Robert F. Williams, Born In Union County, North Carolina, Is One Of The Most Underestimated Forces In American Political History. To An Extent This Is Understandable Because His Most Influential Years Were Lived In Exile In Cuba And China. His Public Communications Were Suppressed By The CIA And The U.s. Postal Service, And His Ideas Of Armed Struggle Too Militant For The U.s. News Media To Treat Objectively. Williams Lifelong Partner In Politics Was His Wife Mabel, Who Joined Him In Armed Defiance Of Racist Assaults, Co-hosted His Radio Program, And Networked For His Social Causes. Robert And Mabel Williams Provide An Extraordinary Record Of A Husband Wife Partnership In The Cause Of Social Transformation. Williams Philosophy Was Initially Forged By The Labor Militants He Had Met As A Migrant Industrial Worker In Northern Cities, By His Experience In The U.s. Military, And By The Rural Southern Tradition Of Armed Self-reliance. After Living Outside The South For Several Years, Williams Returned Home To North Carolina Monroe Union County. His Talents As An Organizer Led To A Surge In Membership. When His Militancy Provoked A Massive Backlash By The Ku Klux Klan, Williams Led Armed And Disciplined NAACP Branch Members Against The Klan Assaults. Williams Advocacy Of The Use Of Force Resulted In Serious Differences With Both The Long Standing Leadership Of The American Civil Rights Movement And With The Newly Emerging Nonviolent Direct Action Movement Of Martin Luther King Jr. Having Unnerved The NAACP National Office By His Willingness To Work With Communists And Marxists To Dramatize Cases The NAACP Deemed Too Hot To Handle, Williams Was Removed From The Leadership Of The NAACP Branch By Anxious National Leaders. By 1961, Williams Seemed Destined To Stand As A National Leader Who Advocated An Alternative To The Nonviolent Direct Action Supported By Martin Luther King. But Williams Was Detoured From National Leadership Because Of An Episode Involving The Freedom Riders In Which He Was Accused Of Kidnapping A Klansman And His Wife. In One Of The Great Escapes In American History, The Williams Family, Including Two Small Children, Eluded The FBI, Klan Vigilantes, State Police From North Carolina To New York, And The Royal Canadian Mounted Police. To The Chagrin Of North Carolina Officials, They Re-emerged In Cuba In The Fall Of 1961. The Prototype Of The Black Power Agenda Evolved In Williams Newsletter, The Crusader, First Published In 1959. Engagingly Written And Including A Column By Mabel, The Crusader Disseminated The Williams Homespun Radicalism And Chronicled The Racial Struggle In North Carolina And Throughout The South. The Crusader’s Daring Content Bedeviled Monroe’s Industrial Development Program, Espoused Militant Armed Resistance, And Chastised Martin Luther King Jr. And The Proponents Of Passive Resistance. In Cuba, Robert Became A Celebrity And Friend Of Cuban Leader Fidel Castro. The Cuban Government Provided Him With A Transformer Capable Of Broadcasting To The Entire Continental United States. Seizing The Opportunity, Robert And Mabel Created The Weekly Program, “radio Free Dixie.” Their Broadcasts Included An Influential Mix Of Progressive Black Jazz (much Of It Shipped To Cuba By Leroi Jones In New York); Commentary On Global Liberation Movements, And Robert Williams Scathing Commentary On American Political Hypocrisy. He Continued To Publish The Crusader, Whose Circulation Grew To 15,000 In Spite Of Obstruction By The U.s. Postal Service. In 1962, Williams Published The Manifesto, Negroes With Guns. This Tract Recounted The History Of His Armed Struggles Against The Klan And Articulated His Philosophy Of The Place Of Armed Self-defense In The Freedom Struggle. Negroes With Guns Is An American Political Classic, On Par With Thomas Paine’s Common Sense, Or Martin Luther King’s “letter From Birmingham Jail.” It Engaged Many Of The Best Minds In The Civil Rights Movement, Such As Bayard Rustin And Martin Luther King, Who Assailed It At Length. Huey P. Newton Drew Heavily On Negroes With Guns In Drafting The Original Constitution Of The Black Panther Party. 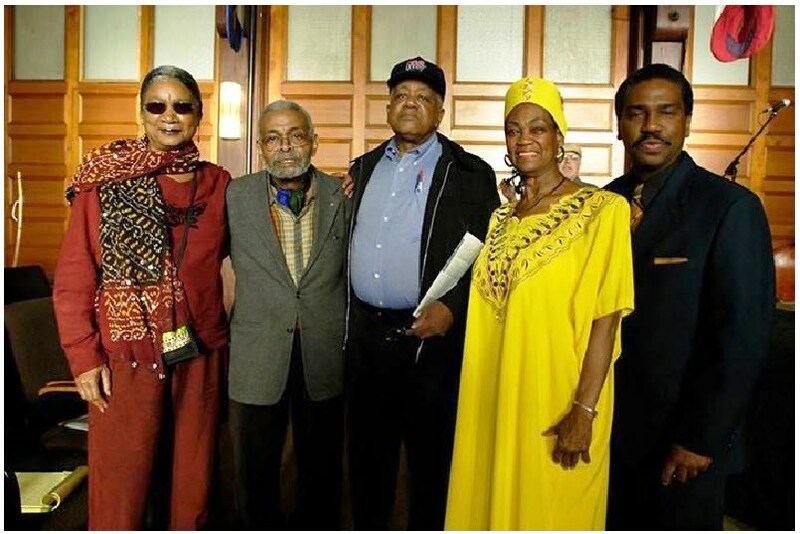 It Was Extremely Influential In Turning Student Non-violent Coordinating Committee Leaders From Pacifists To Black Power Militants. Williams Was One Of The Very Few Civil Rights Leaders Whom Malcolm X Openly Praised. Williams’ Jeremiads Against American Society Intensified With The Escalation Of The Vietnam War. He Visited With Ho Chi Minh In North Vietnam And Joined In Various Anti-war Activities To Discourage African Americans From Fighting. Williams Relocated To China In 1966 During The Height Of The Cultural Revolution. There As In Cuba Williams Enjoyed A Celebrity Status And Fraternized With Mao Zedong And Chou En Lai. His Interest In Maoist Revolutionary Thought Found Its Way Into The Crusader, Which Continued To Reach An Influential Underground Audience Among Black Power Militants In The United States. In Spite Of His Exile, Robert Williams Influence Was Profound. His Emphasis On Situating The American Civil Rights Struggle In The Context Of International Liberation Movements Gained Wide Acceptance, As Did His Philosophy Of Armed Resistance. His Militant Rhetorical Style-vigorous, Colorful, And Vitriolic-was Emulated Throughout The Movement. A Dedicated Network Of Williams Followers In America And Africa Worked To Promote His Militant Philosophy Among Intellectuals And Activists. The Black Panther Party’s Public Posture Of The Armed Militant Was Consciously Influenced By Williams Vision. In 1969, Robert Williams Returned To The United States With The Quiet Acquiescence Of None Other Than President Richard Nixon. This Was Done As A Gesture Of Goodwill In The President’s Efforts To Cultivate The Chinese Leadership For His Historic Visit To China, Even Though The Fbi Had Warned Nixon That Williams Could Likely Fill The Role Of Assassinated Civil Rights Leaders, Malcolm X And Martin Luther King. But After Assessing The State Of The Movement In 1970, Rife With Maddening Internecine Ideological Divisions, And Murders And Incarceration Of Numerous Black Militants, Williams, Now Disillusioned, Withdrew From All But Nominal Leadership In The Militant Groups That Were Founded In His Name. The Material On His Disillusionment With The Movement Is A Subject Of Vast Research Significance In And Of Itself. Williams Became A Research Associate At The Institute For Chinese Studies At University Of Michigan. He And Mabel Moved To The Remote, Historically Integrated, Michigan Township Of Baldwin, Where They Remained For The Rest Of His Life. In Baldwin, The Williams Continued Their Dedication To Social Transformation, Focusing On The Local Level. His Role As A National Leader Subsided, But His Image Among The Succeeding Generation Of Black Power Advocates Remains Profound. Like The Black Folk Hero “john Henry,” Robert F. Williams Outwitted And Tormented The Oppressors Of African Americans.